Mormon Mommy Writers and Friends: Excited for Christmas? As I pondered what to talk about today, the same thought came to me that Ashley and Jessica posted about yesterday, so I am going to continue on that topic, because I feel that it is a really important one. I have found that in the last few years my excitement towards Christmas has been dwindling, and that has got me thinking. Why does it not get me excited anymore? I know that part of that has to do with what most parents deal with every year, and that is the stress of getting gifts for their kids, and making sure that it is perfect and "magical". Being a single mother, this is really hard on me, because I can't do the things that I want to for my kids. Many years, I didn't know how I would get anything for my children. 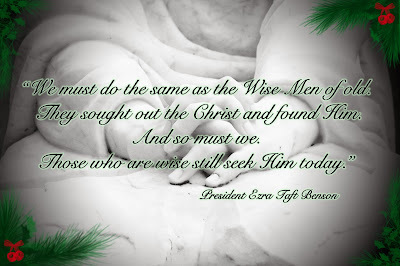 Thankfully, I have a loving Heavenly Father, who loves us very much and has made it possible to have decent Christmas'. But beyond that, I wondered what else would be contributing? The conclusion I came to, is that I have slowly been loosing the real spirit of Christmas! I've been so worried about having gifts, and making sure my kids are excited for Santa, that I have been failing to help us have a REAL Christmas. I have been so caught up in the pain of being financially strapped that I have fallen into the opposite problem for most people (spending too much) but ending up with the same issue. It bothers me a lot now when I see people spelling Christmas as "X-mas". That is what is literally what is going on in society. We are "X-ing" out the reason the holiday was created, which is CHRIST. So, without delving into societies issues, what are we going to do about it? Well, of course we should start with changing our own perspectives, then we can move to how we can help others. I sat down with my children and we decided what we were going to do this year. I didn't want to deprive them of the excitement of presents totally, I just want to keep Christmas centered around Christ. So we decided that December would be "Christmas month". They would get to open a gift randomly throughout the month, and we would also do R.A.K. ; Random acts of Kindness. They obviously liked this idea, because they'd get to open their gifts early, and they always get excited about doing "secret" surprised for people. I then told my kids I'd talk to Santa and ask him to deliver our gifts from him on Christmas Eve morning. I have a special connection with him, see... and he agrees that Christmas Day should be about Christ. :) On Christmas Day, that leaves the gift giving out of the picture! When I mentioned this idea to the rest of my family, they not only liked the idea, but started getting ideas about what else to do, like playing games with family, reading the story of the birth of Christ etc. It got them all excited, and it almost felt like it lifted a burden off of their shoulders! 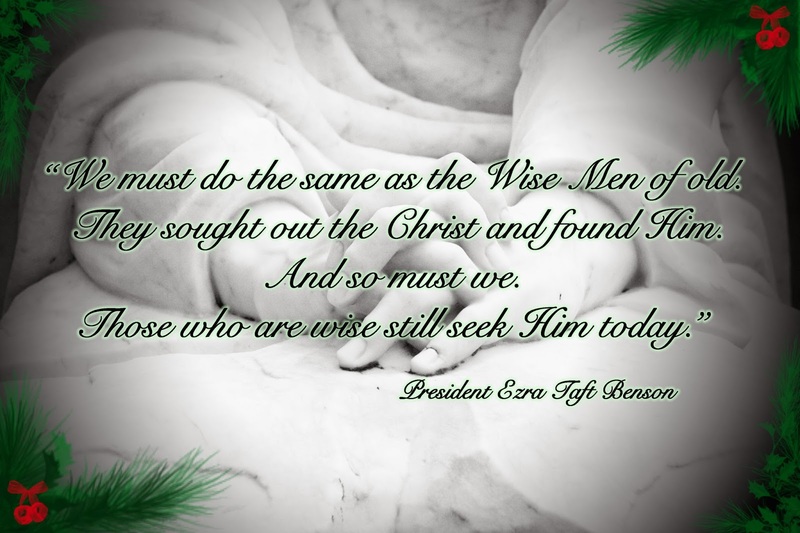 So I am REALLY curious as to what your Christmas traditions are, and please share ideas on what to do to think about Christ more on his day... How do you get your families to focus on him? Please share your ideas!! I am an open book right now! Thanks for helping me get back the excitement of Christmas!!! This is wonderful, Syra! One thing that we decided a few years ago was that our kids would get just 3 “Santa” gifts each. They send him a letter asking for 2 things they want and 1 surprise. (We also make sure they know that Santa has a budget.) That way our Christmas morning still has all the fun of Christmas morning (sorry, I can’t give that up- I’m still just a kid at heart) but it’s less about a gift frenzy and more about appreciating each gift. They get 3 gifts plus 1-2 things from Chad and me, usually something we make for them or something they need (or both). Then we enjoy a big family breakfast and relax the rest of the day. Our Christmas Eve is usually very Christ-centered, however. We watch the Luke II dvd that shows the nativity and then we turn out all the lights in the house and light a candle at the nativity scene and sing “Silent Night.” We talk about the miracle of Christmas and we remind the kids what it’s all about. Throughout the month of December we do an advent calendar- we have little treats (like a caramel or a Starburst) for each kid and we read a scripture that talks about one of the gifts Christ has given to us (the chewing keeps them quiet- LOL). Last night we read Alma 42:15 and talked about the atonement, and we talked about how sad it would be if we had to pay for all our mistakes ourselves, because none of us would be strong enough to do it, so we would never be good enough to go back to Heavenly Father. We talked about Jesus Christ being the first Christmas gift ever- a gift from our Heavenly Father. Loved this. I'm losing interest in the commercial-ness of Christmas too. It wears me out. We do the 3 gift thing like Kasey. But we give only 3 things, because that's the number of gifts Jesus got. One of the gifts is a HUG. :-) That brings the material gifts number to 2. We also do a family project where we choose a family to help every year. That's what my WIP is about. Hopefully to be published before next Christmas.